For the fifth consecutive year, PADI Dive Centers and Resorts will host thousands of divers for a global celebration of shared adventure and passion for the ocean at hundreds of events around the world. Committed to fostering a global community that encourages divers of all genders, ages and experience levels to safely and confidently explore the underwater world, PADI launched the first PADI Women’s Dive Day in 2015. Growing year over year, PADI Women’s Dive Day swelled to more than 1,000 events in 104 countries in 2018, further strengthening female participation in scuba diving worldwide. Fifth Point Diving Centre in England transformed the one-day celebration into a weeklong event filled with education programs like fundamentals of underwater photography and the Project AWARE® Dive Against Debris® Specialty course, as well as snorkeling and diving excursions. The week culminated with a Dive Against Debris on PADI Women’s Dive Day. The Perry Institute for Marine Science collaborated with Stuart Cove’s Dive Bahamas to teach the PADI Reef Rescue Diver Distinctive Specialty course. The course teaches about corals, the threats they face and what can be done to assist their recovery including the practice of establishing coral nurseries. Divers participated in two dives learning how to maintain coral trees and how to plant their own coral with personalized tags so they can monitor them over the coming months. In honor of PADI Women’s Dive Day and progressive changes being made in their society, women in Saudi Arabia drove themselves, for the first time in their lives, to do a night dive. Blue Corner Dive in Bali supported the local community by offering two free professional-development internships to local Indonesian women. The female-led mentorship program took them from PADI Open Water Diver to PADI Divemaster. This year, PADI Dive Centers and Resorts across the globe will again host dive events to build a strong community that encourages people – male and female alike – to discover (or rediscover!) their love of diving and become active stewards for our oceans. PADI Dive Centers and Resorts, plan your PADI Women’s Dive Day event and register it now on the PADI Pros’ Site registration page. 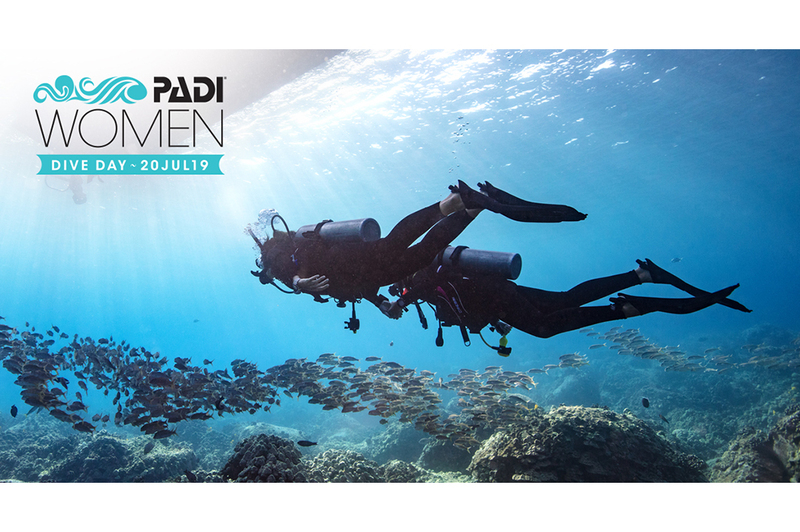 Interested in taking part in PADI Women’s Dive Day 2019? Contact your local PADI Dive Center or Resort or visit padi.com to learn more (additional information coming soon).